Storage tank and other buildings. 3. 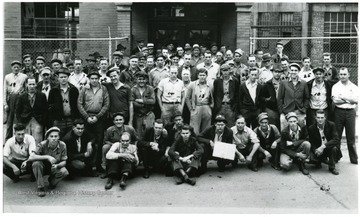 Fostoria Glass Company Employees, Moundsville, W. Va.
Fostoria Glass Company Employees, Moundsville, W. Va.
Group portrait of Fostoria Glass Company employees. 4. 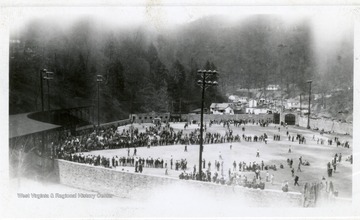 Baseball at Blakely Field, Welch, W. Va. Baseball at Blakely Field, Welch, W. Va.
People playing baseball with a crowd surrounding the field watching. 5. East Entrance, City Hall, Huntington, W. Va.
East Entrance, City Hall, Huntington, W. Va.
View of the East Entrance of City Hall in Huntington, West Virginia. Hotel visible in the background. 6. City Hall, Huntington, W. Va.
City Hall, Huntington, W. Va.
View of City Hall in Huntington, West Virginia. 7. 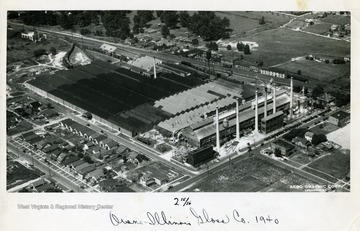 Owens-Illinois Glass Company, Huntington, W. Va.
Owens-Illinois Glass Company, Huntington, W. Va.
8. 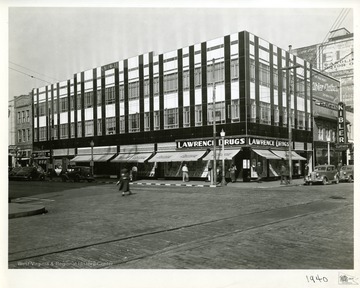 Caldwell Building, Huntington, W. Va.
Caldwell Building, Huntington, W. Va.
People and automobiles outside Lawrence Drug Store in the Caldwell Building in Huntington, West Virginia. 9. Hatfield Home, Huntington, W. Va.
Hatfield Home, Huntington, W. Va. 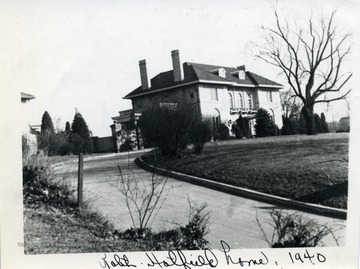 Exterior of Robert Hatfield's House in Huntington, West Virginia. 10. 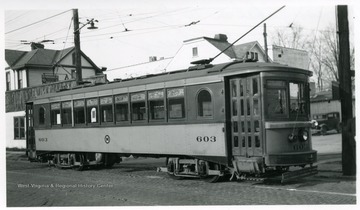 Trolley No. 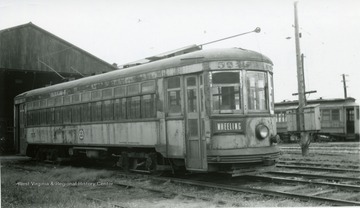 332, Parkersburg, W. Va.
Trolley No. 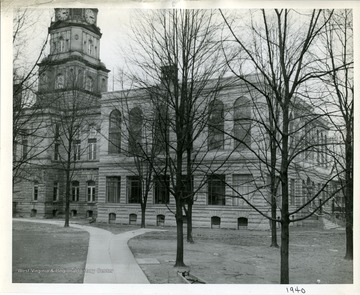 332, Parkersburg, W. Va.
12. Cooperative Transit Car No. 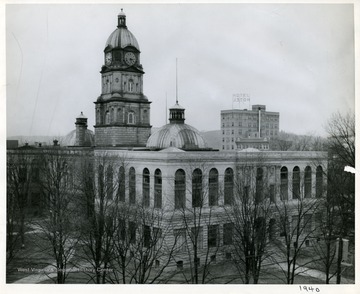 55, Wheeling, W. Va. 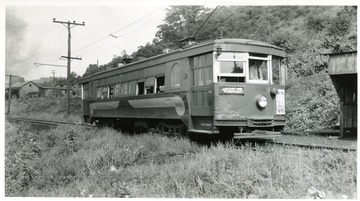 Cooperative Transit Car No. 55, Wheeling, W. Va.
Brill car on the tracks in Wheeling, W. Va.